Added by Debra Tash on June 13, 2018. 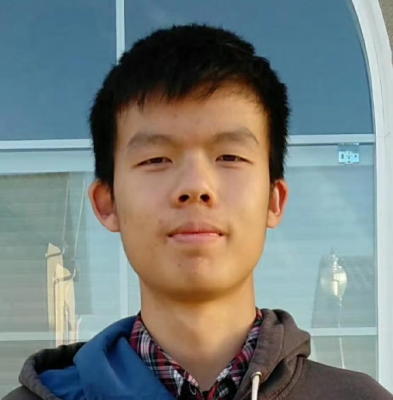 From the language to the food to the culture, Yeifan Lei entered a new world when he moved from his native China to join his mother in Ventura and become a freshman at Buena High School. With limited English skills, he started taking English language development classes and made quick progress. By his junior year, he was taking college-prep English. And as a senior, he moved up to advanced placement English, allowing him to earn college credit in a language he could barely speak just a few years before. Yeifan also had to adapt to a different style of teaching. While schools in China emphasized memorization and strict adherence to structure, Buena gave him more opportunities to learn by doing, such as by conducting experiments in science classes. “Here, the teachers let students explore more rather than textbook style teaching,” he says. “I figured it out really quickly and it was more fun to do hands-on stuff.” With more freedom came more responsibility to be self-motivated to learn. “You have to figure it out yourself and be more independent,” he says. Leifan has big plans now that high school is coming to a close. He earned a full scholarship to Northwestern University through the QuestBridge program, which helps high-achieving, low-income students afford college. He’s considering careers in medicine or chemistry and is looking forward to putting down roots in his adopted home.